Folsom’s Three Stages hosts The International Guitar Night on its American tour, Thursday, January 23, with local and international stars. International Guitar Night founder, Brian Gore, will be joined by Italy’s Pino Forastiere, Mike Dawes from England, and Quique Sinesi from Argentina. Pino Forastiere and Mike Dawes are contemporary steel string guitarists, who play a unique mix of melody, improvisation and hand percussion using the strings, the fretboard and the guitar body. Quique is a master of many South American melodies and rhythms on both guitar and charango. The International Guitar Night is the premier touring guitar festival, each show bringing together the most interesting and innovative acoustic guitarists to exchange musical ideas in a public concert setting. For each tour, founder Brian Gore invites a new cast of guitar luminaries to join him for special evenings of solos, duets, and quartets that highlight the dexterity and diversity within the world of acoustic guitar. 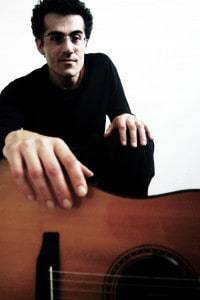 The music of Italian guitarist Pino Forastiere comes from a solid background in classical, contemporary and rock music, evolving into a style that’s hard to define. He “employs a dazzling blend of slapping, tapping, strumming, altered tunings and harmonics, combined with classical phrasing and a focus on distinct and addictive melodies” (Anil Prasad, Guitar Player). 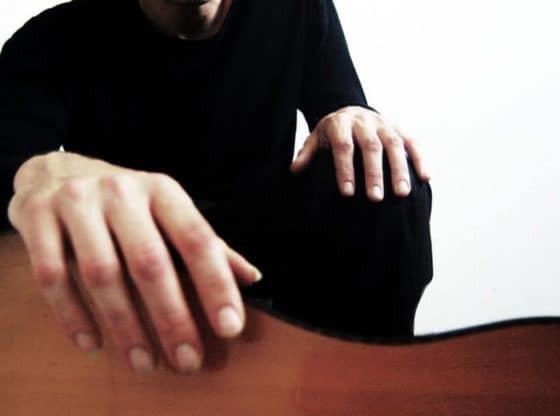 His music is “something like a mix of Steve Reich’s interlocking rhythmic patterns meet Michael Hedges’ techniques, all while admiring Eddie Van Halen” (John Schaefer, WNYC). 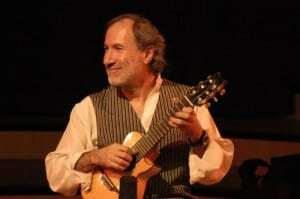 Born in 1960, Quique Sinesi is considered one of the most important guitarists in Argentina for his personal style. His music is based in elements of Tango and Folklore from his country, and rhythms from “Rio de la Plata” like Candombe, incorporating elements of jazz, improvisation, classical and world music. He plays a 7 string Spanish Guitar, Piccolo Guitar and Charango. 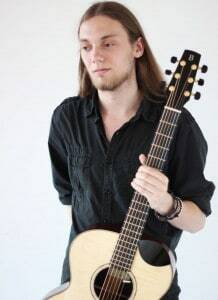 Mike Dawes is hailed as one of the world’s finest young finger-style guitarists and performers. His acclaimed solo music, littered with nuances and micro-techniques, has seen him tour almost every continent on the planet. In addition to his solo career he has recorded with, and has been a session musician for multiple Grammy award-winning artists. He has also appeared on film soundtracks and adverts, as well as achieving viral YouTube hits in the millions. San Francisco-based guitar poet Brian Gore is gaining a reputation as one of the most interesting and influential performers of “the next generation.” A musical romantic, his compositions draw inspiration from myth and modern literature. Gore is an artist in residence at the Boulder Chautauqua, sponsored by Acoustic Guitar Magazine. His music has been featured on NPR’s nationally syndicated Echoes Radio, and many other local public radio programs. 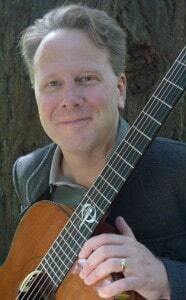 Brian founded The International Guitar Night in 1995 as a forum for the world’s finest guitarists/composers to play their latest original songs and share musical ideas with their peers in public concert.